Good people are the key to any good business, and at Castlegar Toyota we choose staff members who are exceptional in their abilities and desire to serve others. From a very young age, Craig was focused on a career in the automotive industry. 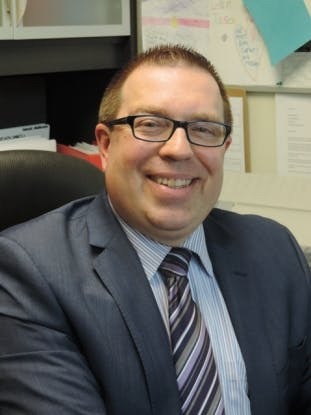 He completed his Business Administration/Automotive Marketing Diploma at Georgian College in Barrie, Ontario, followed by a Bachelor of Business Administration-Automotive Marketing/Management Degree from Northwood University in Cedar Hill, Texas. He then worked for several years at Kalawsky Chevrolet Buick GMC before purchasing Castlegar Toyota in 2001. Craig sits on the board of the New Car Dealers Association of British Columbia, and lives with his wife in Castlegar. 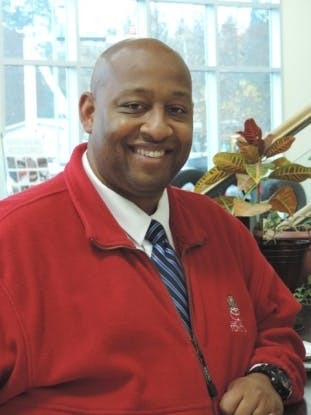 William is originally from Chicago, Illinois, and he's been with Castlegar Toyota since 2002. A former Marine who rose to the rank of Sargeant, William just doesn't get ruffled or sweat the small stuff. His easy-going style, easy laughter and deep commitment to helping customers find the right vehicle has twice earned him the Toyota Pinnacle Award for customer satisfaction and the Gold Award for best in business. William is married with two children, Linkin and Levi, and in his spare time he loves camping in the great British Columbia. Brad has over 10 years experience as a Financial Services Manager. He is dedicated to making sure that the paperwork regarding your purchase or lease is thoroughly explained and reviewed so you are comfortable and confident with your decision. He prides himself on the highest levels of customer service and has been awarded the Pinnacle Award from Toyota Canada for exemplary customer service. Brad lives in Warfield with his wife and family. 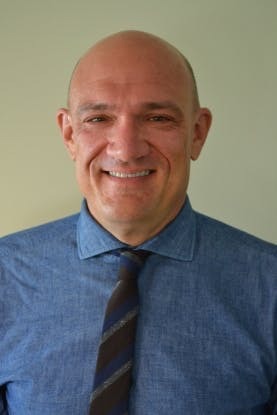 In his free time he follows the Boston Bruins and Saskatchewan Roughriders and is on the Board of Directors of the Kootenay Boundary Regional Health Foundation. Brennan joined the Sales Team at Castlegar Toyota in January 2017. Brennan, his wife and family live in Castlegar and are long time Castlegar residents. You'll enjoy his straight forward, friendly and professional approach in helping you find the perfect New or Pre Owned vehicle. Garrett is from Salmo and is one of the most positive and enthusiastic people you are ever going to meet! He is committed to making sure your purchase experience is informative, professional and fun! 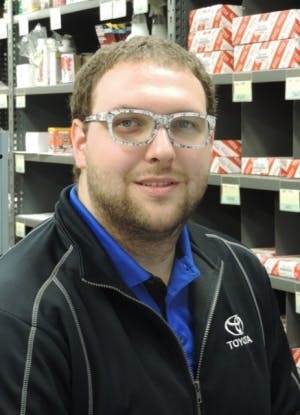 Tyler has a proven record of providing the highest level of customer service and has been recognized by Toyota Canada winning the Pinnacle Award. Tyler's goal is to ensure that each guest receives the service and information required to make an informed decision and to have an enjoyable experience while purchasing a vehicle. Tyler is from Castlegar and enjoys Golf, riding his motorcycle and playing hockey in his free time. Contact Tyler today for an unforgettable purchase experience! 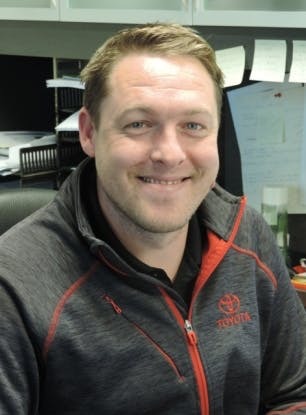 Dryden joined Castlegar Toyota in the fall of 2015 and became Service Manager in March 2017. Dryden is a Toyota trained Master Technician, which is the highest level that can be achieved and shows his commitment to the industry and to his customers. Dryden was a member of the National Rugby Team in his native South Africa before moving to Canada. Dryden and his family enjoy the outdoors in their free time. David is originally from Watson Lake in the Yukon. Prior to joining Castlegar Toyota, he was Paramedic, so he's especially attuned to getting things done with conscientious and courteous professionalism. In his spare time, David likes to watch movies and take care of his animals on his acerage. Kyle was born and raised in Timmins, Ontario. 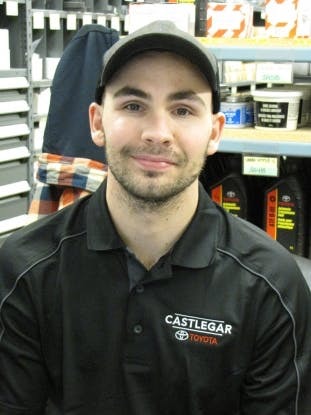 Kyle has been with Castlegar Toyota since 2011, starting in our Vehicle Detailing Department and is now in our PArts Department as a Parts Advisor. In his free time, Kyle and his wife enjoy going to concerts, camping and kayaking. James was born and raised in Rossland before advancing his career as a Technician in the Okanagan and after 26 years has returned home. James has two Red Seals, one as a Journeyman Technician and the other as a Front End & Frame Repair Technician. James has spent his career working as a technician in Independent Repair Facilities which has given him the experience of working on all makes and models of vehicles. He has even worked on a Ford Model T! The experience of working on all vehicles means that you can have confidence when you bring in any vehicles you own to Castlegar Toyota for repair. In his free time James likes to snowmobile, ride his dirt bike, get on the boat to waterski and fish and has gotten back into woodworking. 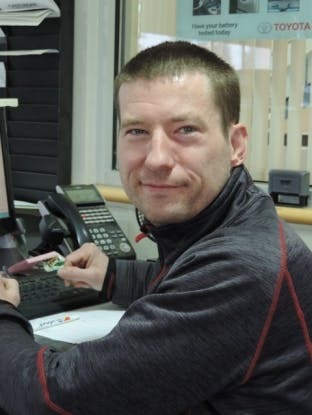 Matt joined Castlegar Toyota in May 2011 and has a tremendous sense of pride in his work, and his can-do attitude means that he'll do whatever it takes to get the job done, quickly, efficiently and with the best results. In his spare time, he likes golfing, hiking, biking and snowmobiling. Jason is a Castlegar native and is excited to be part of the Vehicle Detailing team. Jason has an eye for small details and is driven to produce high quality work. In his free time Jason enjoys weight training, playing hockey, being outdoors and spending time with his family. 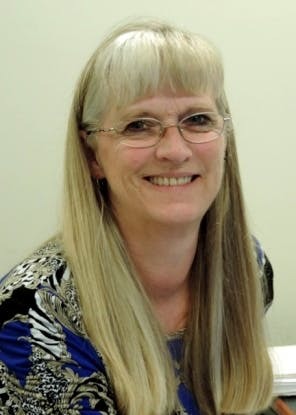 Leslie has been with Castlegar Toyota since 1986. She is a very dedicated team member and is well respected by all of her peers. She puts in a lot of extra time planning staff lunches and other team building activities. She is a very dedicated mother and grandmother. In her leisure time, she enjoys camping with her husband, Chuck.